BMW launched its new E30 platform for automobiles in 1982 for the new 3 series generation. The entry level 3 series saw a body style consisting of 2 door coupe however the later new models received a sedan four door configuration styled with modern lines in the exterior that were set to compete the then forthcoming Mecedes 190E model in the sector of luxury compact cars. It took the assistance from the similar suspension held by its predecessor E21 platform based models and was available fitted with the 2.5 litre engine attributing the Bosch Motronic technology which was capable of delivering 171 hp and was the top of the range unit in the 3 series lineup. The model's road performance was also attractive and the new sedan 3 series topped at 135 mph and took 8.3 seconds to reach 0-60 mph. 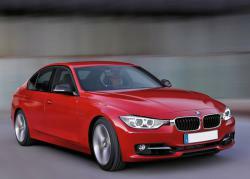 The 3 series third generation was introduced in 1991 with designs to hit the sector of the compact luxury vehicle. Using E36 as its base platform the initial 3 series was available in the form of a 4 door sedan though several other body configurations surfaced later on. The initial sedan featured a style change in its head lamps a roundish design of the exterior and improved suspension. Also the new sedan 3 series models were heavier and even larger than the models of the latter generation however it was due to the active safety features that were fixed and fitted in the car, though they underwent an absolute 50:50 distribution of weight through the relocation of the engine in the far back corner. The 325i version which was also the top of the range car offered a sprint from 0-60 in 7.3 seconds and topped at 140 mph. The model underwent slight face-lifting in 1997 after being permanently replaced by the 3 series 4th generation a year after. The 3 series 4th generation was launched by BMW in 1998 being based on the new E46 platform and the luxury entry level vehicles featured numerous internal and external changes along with either updated or new engines in the hood. The new generation 3 series was available initially only in the body style of a sedan and came with five different versions including 328i, 323i, 320i, 318i and the diesel 320d besides receiving the option of choosing the Steptronic transmission the next year. BMW in 2001 launched the M54 power plants and the 328i variant was replaced with a brand new 330 3.0 litre variant which came with minor cosmetic updates and a redesigned exhaust system. The model�s previous update before the 2002 facelift came in 2000 where BMW extended its M3 high performance model taking the 3 series bodywork and chassis as a base. BMW revised the sedan 3 series in 2001, launching it before the larger public after introducing a new design of tail lights and a restyling of the front end. The next year the same model was made available equipped with a navigation system that was DVD based, a power boost on the 330i power plant by 10 hp and an armrest and headrest in the front center. In 2005 however BMW decided to provide its sedans 3 series models with the option of its M3's SMG gearbox which featured shift paddles mounted on steering wheels. The 330i version of sedan also was given a fresh front look whereas the automatic headlights and rain sensing wipers were added as standard in all BMW units. The 3 series E46 model's production was halted in 2006 and a new fifth generation was introduced. 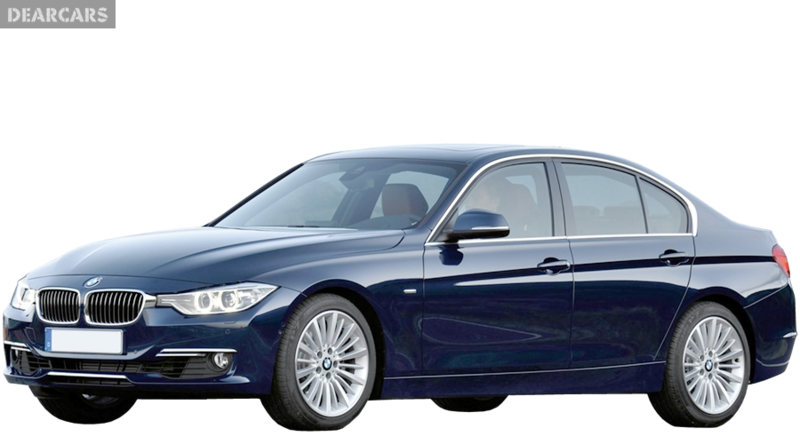 The fifth generation of BMW 3 series was launched in 2005 and was initially made available in a four door sedan using the new E90 platform with a much wider, taller and bigger body in comparison to its predecessors. However owing to light weight components used in the manufacturing of the engine, suspension and bodywork, the total weight exceeded by only 150 lbs than the previous model. 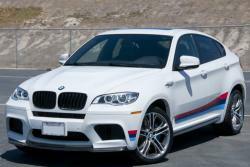 The fifth generation model was also available in the North American market and also served as a base for the M3 high performing version in the year 2008. In the same year BMW sedan 3 series range savored restyling of wing mirrors, a new grille, revised headlamps, redesigning of front bumpers and new tail lamps. 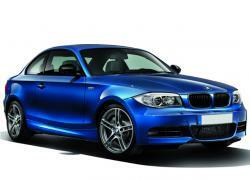 Also minor engine updates were introduced to the 330d model and the iDrive system was also revised. In 2009, BMW 3 series was further revised by its parent company and the new model was presented with a lot of upgraded elements and reshaped parts that contributed both to the looks and performance of the model. The prominent modifications included headlamps, front bumpers, tail lamps and wing mirrors. Features included the improved iDrive system along with an updated browser whereas two models got an increased 24mm rear track. The sixth generation BMW sedan 3 series is among the world's premium best selling car and set benchmarks for comfort, elegance and sporting prowess. The history of innovations in the 3 series is an inspiration for the sport sedan which held powerful styling depicting meticulous development of the company's design cues as well as presenting a fresh explanation of the style. The new flat headlights on the face of BMW reaching the kidney grille of the company are the dynamic design representing the elegance of the BMW 3 Series. The sixth generation was also wider in size which is prominent as the front increased by 37 mm and the rear by 47 mm whereas the new car's length exceeds by 93 mm compared to its latter model. The wheelbase is 50 mm larger emphasizing the model's sporty profile. The inner cabin also experienced better space which benefits the rear passengers the most. Today the 3 series lineup is available in three trims and variants in terms of equipment known as Sport line, Modern line and Luxury line. Each trim presents an individual character of the sports sedan and with a combination of high quality and elite material the build quality is exclusive emphasizing the premium outlook of the entirely new range.